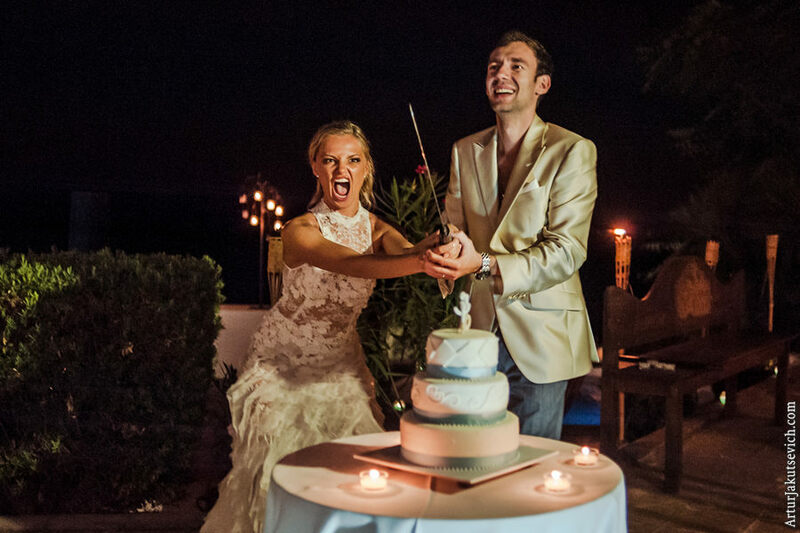 Adam and Jessica’s wedding in Spain, close to Barcelona, was a brilliant example of a well-planed event with about 30 guests, luxurious ceremony at the beach and extreme big day dinner and party. Such events do inspire me, as a photographer, and my colleagues from Mongooses.TV wedding studio. 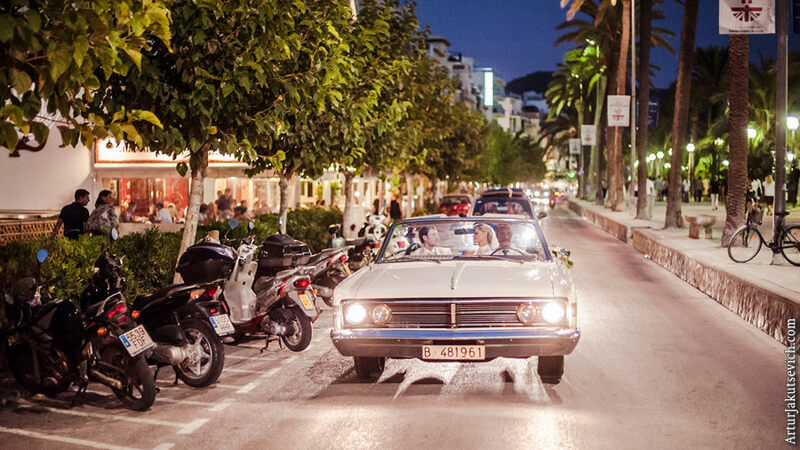 In early September the whole group of Mongooses set off for a trip from Prague to Barcelona and further to Sitges. There we met Adam and Jessica, our old friends from Germany. 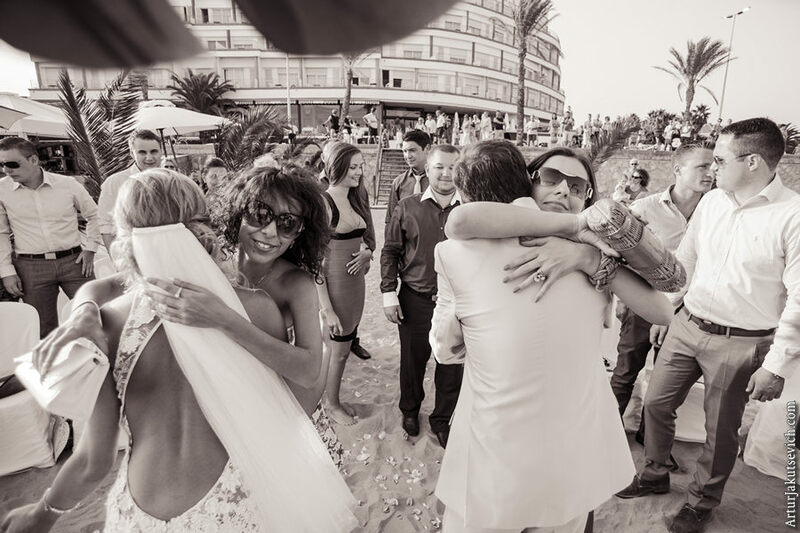 I could have expected something special from this wedding in Spain, since it was a new country for me to work in, but even I couldn’t have guessed, how extreme the event was going to be. The planning and discussion of the wedding in Spain we started in Metzingen, while filming the German traditional wedding of Andreas and Tatiana. Adam and Jessica were invited to the event and when there was a little pause, me and my colleagues wedding photographer Viktor Zdvizhkov from Prague and event videographer Alexander Znahatchuk met the them to speak on the issue. 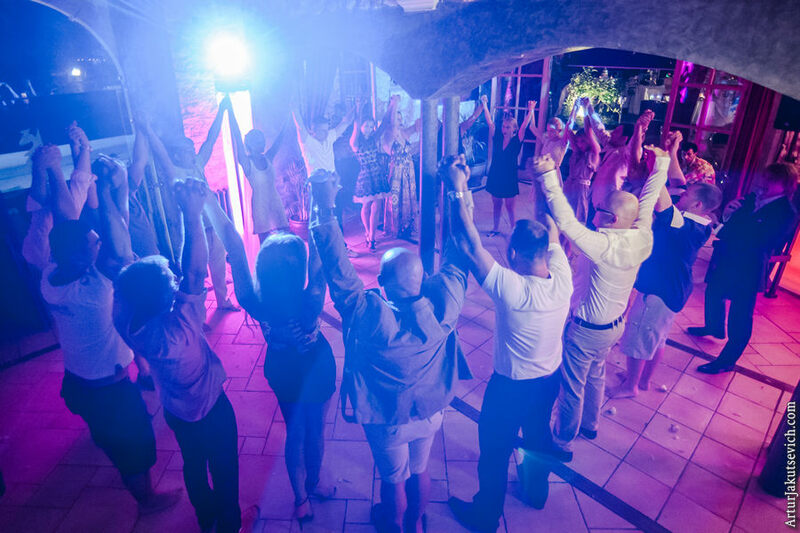 Well, there were a lot of “crazy ideas” discussed at that moment, but we never would thought, that they would be out into life by the gorgeous bride with the help of professional wedding planner in Barcelona Clare. 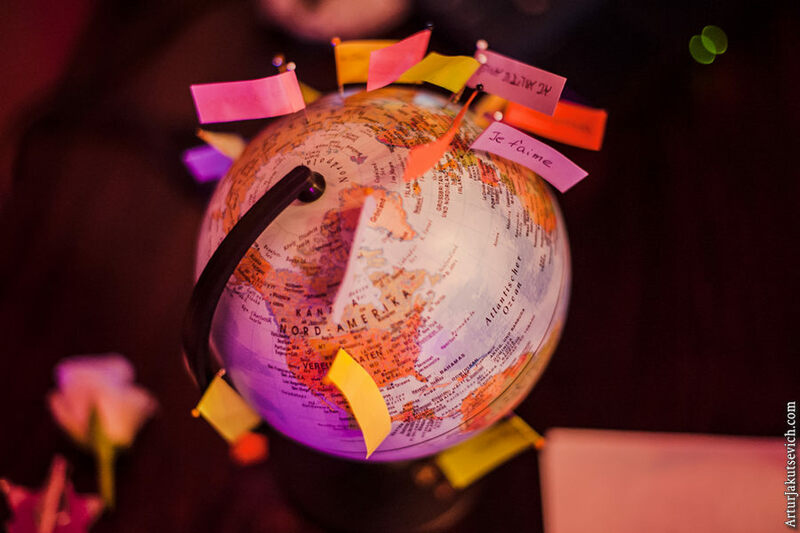 Ladies managed to list all the locations, events and happenings in a smooth and luxurious way. After arrival, we had the whole day to study the locations, to plan the work and to enjoy the autumn sea, which welcomed us with warmth and waves. 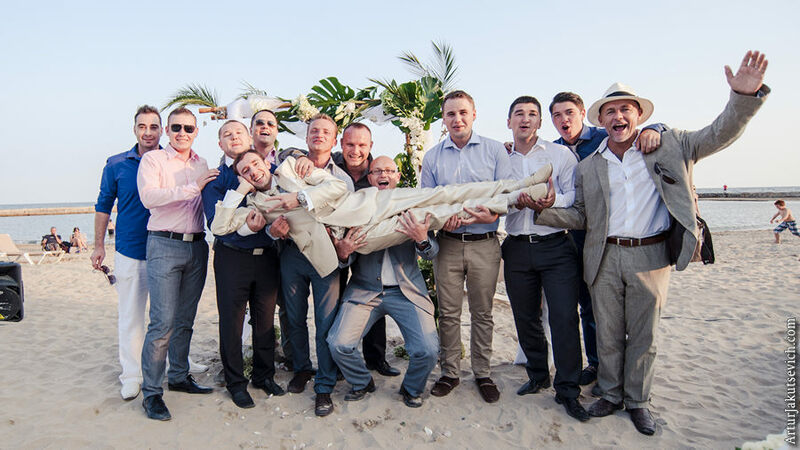 Our coordinator and manager Vladimir Novikov did his best to learn from the bride and from the wedding planner about the event, time schedule and other important issues. Thus, all of us were informed about what, when and where was going to happen. The choice of the locations was made due to several reasons. 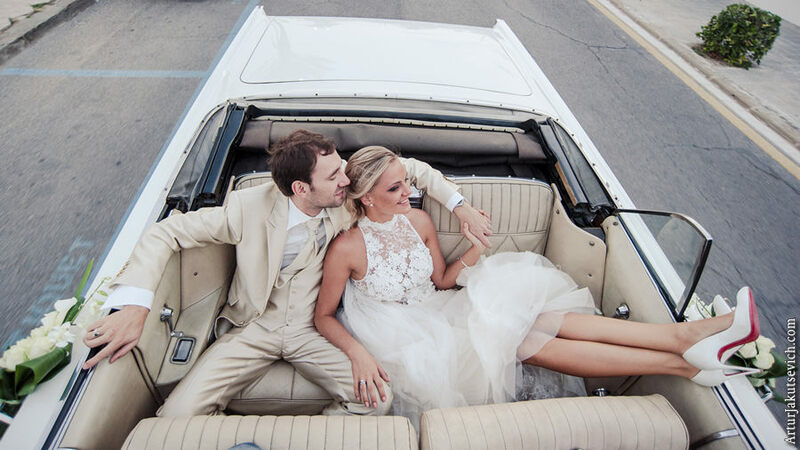 The bride wanted to have the big day in Spain and preferably in Barcelona. It should have been a beach symbolic ceremony and interesting location for the party. 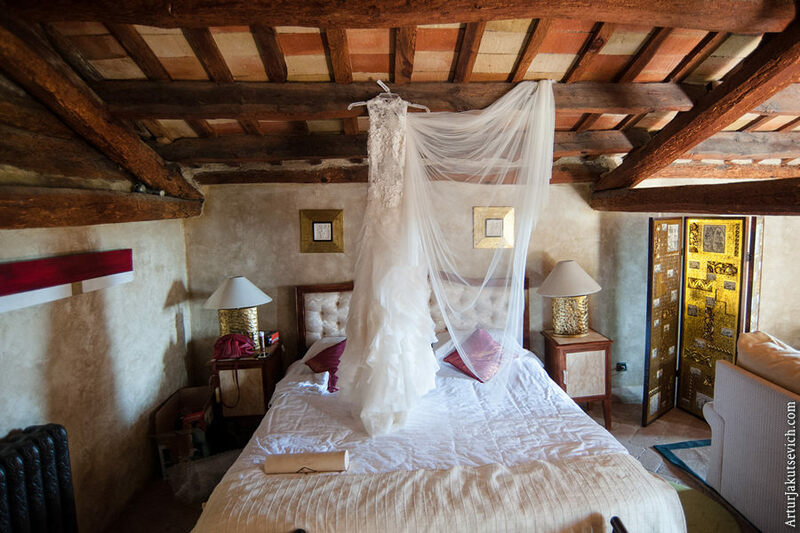 Thus, Clare, the wedding planner from Barcelona, suggested several locations, among which there was a very famous villa, where the last scene of legendary “Kill Bill” movie by Kventin Tarantino was filmed. 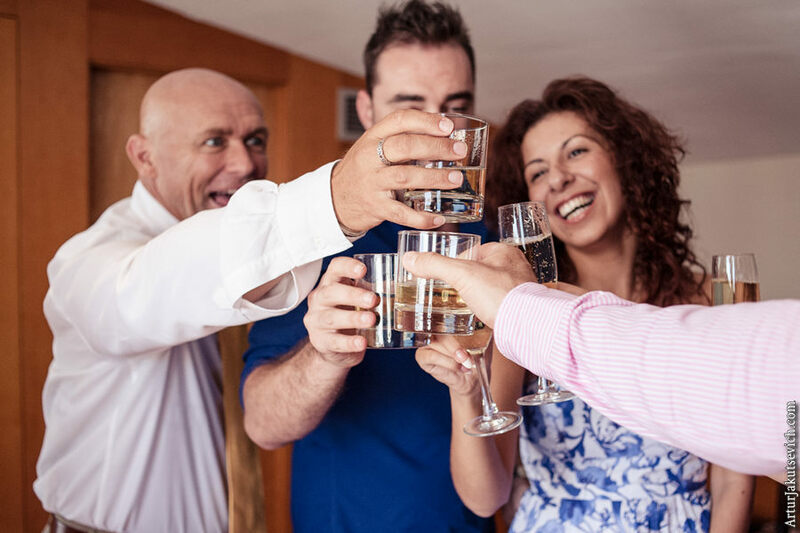 It is located near Sigtes, therefore it was comfortable to book the hotel for the guests at the sea and for the party night to take everyone up to the hill, where the villa is situated. 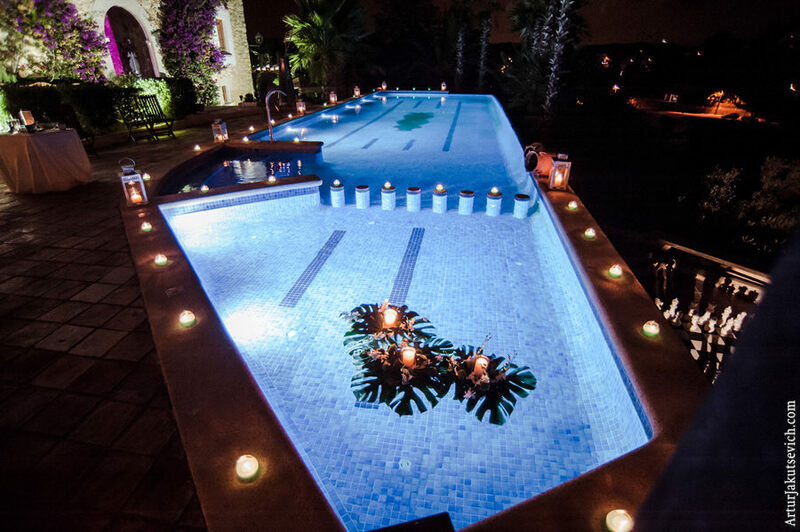 Of course, the brides planned to book the luxurious location for several days for their wedding in Spain, but it was close to impossible, since there are to many people willing to spend in the villa some days or even a week, cause this is a unique place with perfect party facilities, family and children friendly. 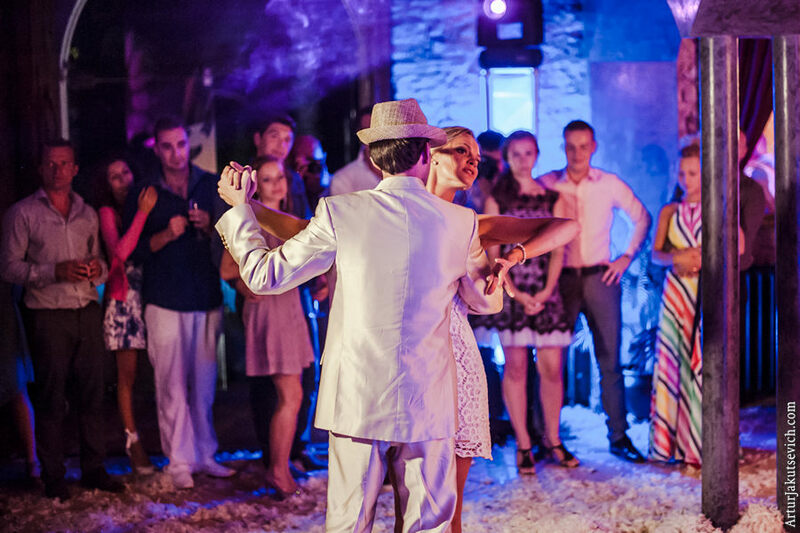 Jessica wanted to have a traditional Spanish wedding ceremony. What did she put in the essence of it were: sea, sand and sun. And all these constituents made that big day really unique and amazing. 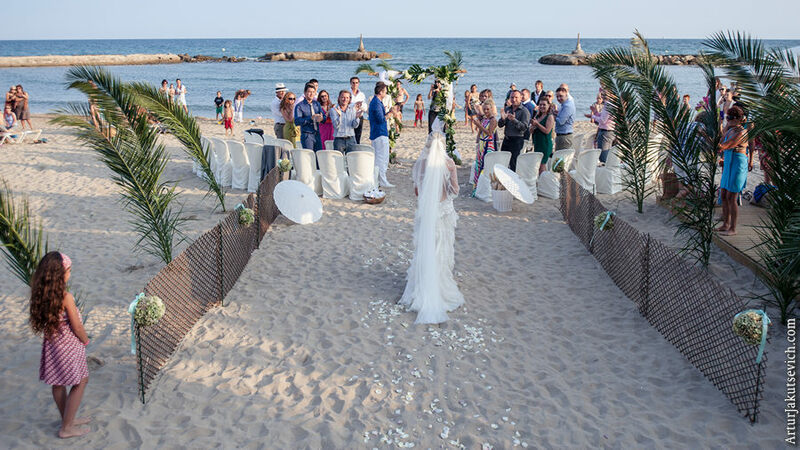 All the friends and relatives, who could come to Barcelona, gathered at the beach to enjoy symbolic wedding ceremony. Since the day was hot, the procedure was shifted to the end of the day. At that time the seaside was full of passers-by rubbing their necks. Some people stopped evening promenade to enjoy the beauty of the bride and groom. After all the words we uttered and the first congratulation received, the couple together with us, professional wedding photographers in Spain and event videographers from Mongooses.TV went on to take their first family pictures. The city was getting ready to plunge into night; therefore there were not so many people as usually. 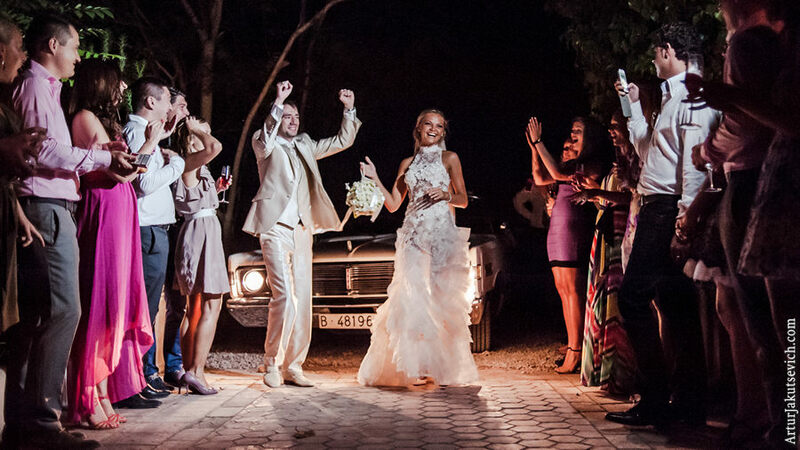 Locals and tourists congratulated Adam and Jessica on the wedding in Spain and wished all the best. 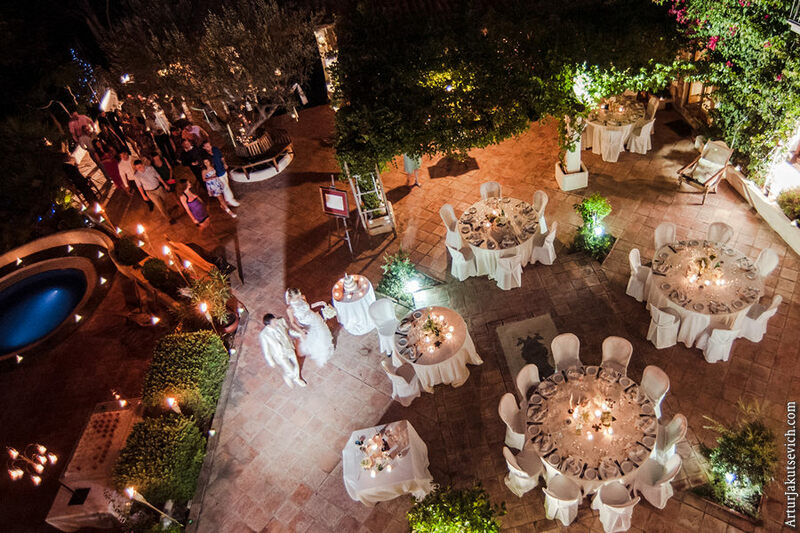 It was just like in Italy, when I was shooting a ceremony in Rome. 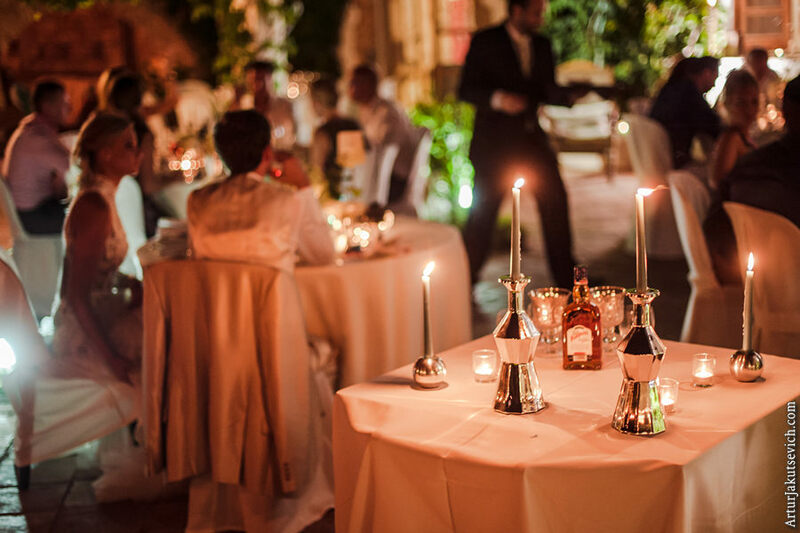 When we finally reached the Villa to start the wedding party, all the guest were enjoying amazing starters, beverages and lovely guitar music. The brides were welcomed warmly and the party started. The first shocking news arrived after the first hot dish was served. The MC together with Jessica developed an interesting plot of the Spanish wedding and unlike the ceremony it was not a traditional story. All the guests within one minute became hostages and had to follow the quests of the terrorist. Otherwise, the whole world could be destroyed with one button push. Tricky thing, isn’t it? 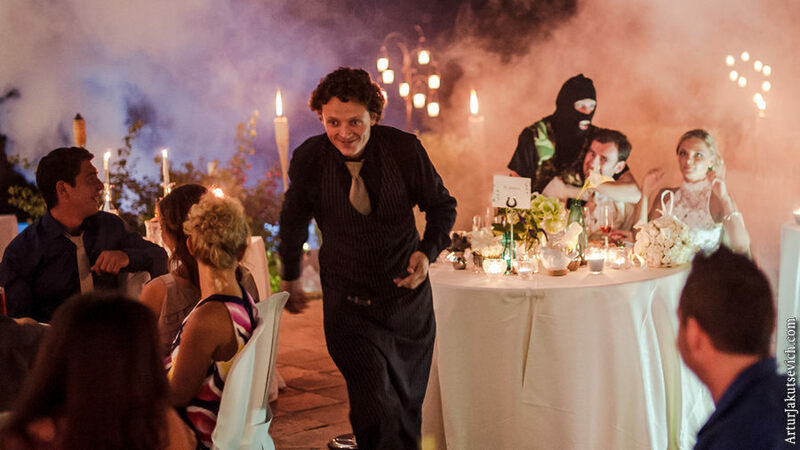 My colleague Alexander, professional event videographer created video about this extreme wedding in Spain. I hope you’ll like it. The wedding party continued after the world was saved with the love of the brides and help of their friends. All the quests were fulfilled. But the most funny thing was the group jump into the pool. That was the last challenge for the young and brave. 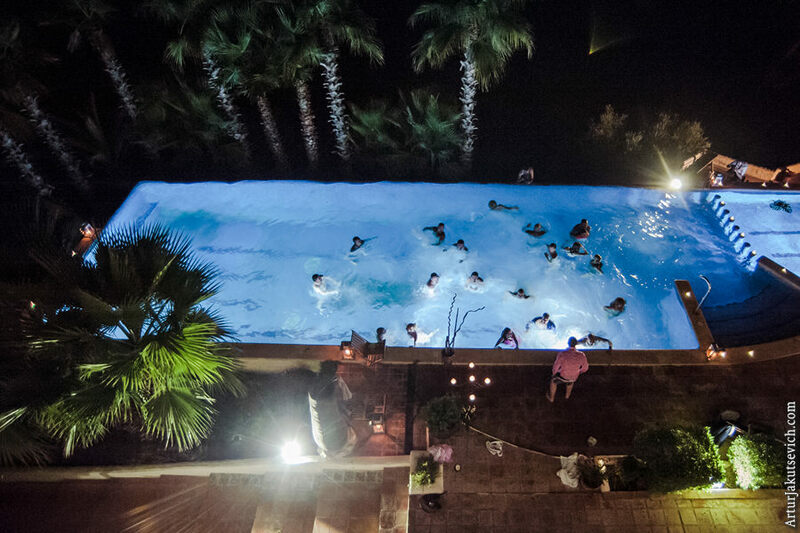 Everybody had to dive into the pool in their suites and dresses. Clare could not hide her amazement. 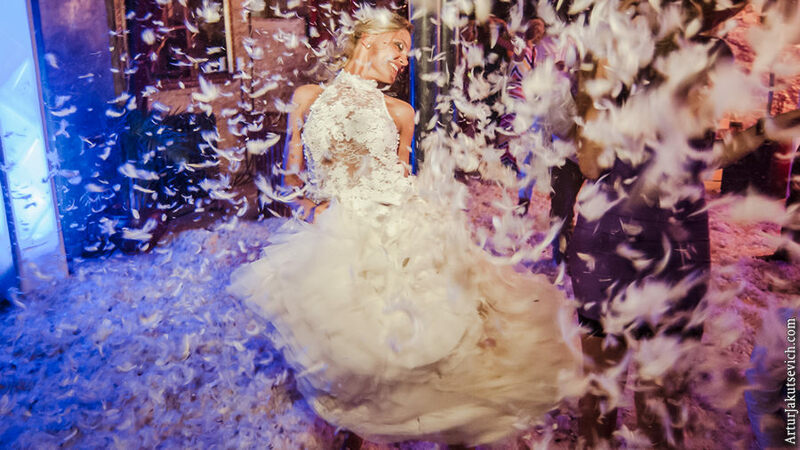 In her career of a luxury wedding planner in Spain, it was the first such an extreme event. And it truly was. For me this wedding project was also peculiar, since it was my birthday! And it was amazing holiday for me, because I was with beautiful people, friends and my team. 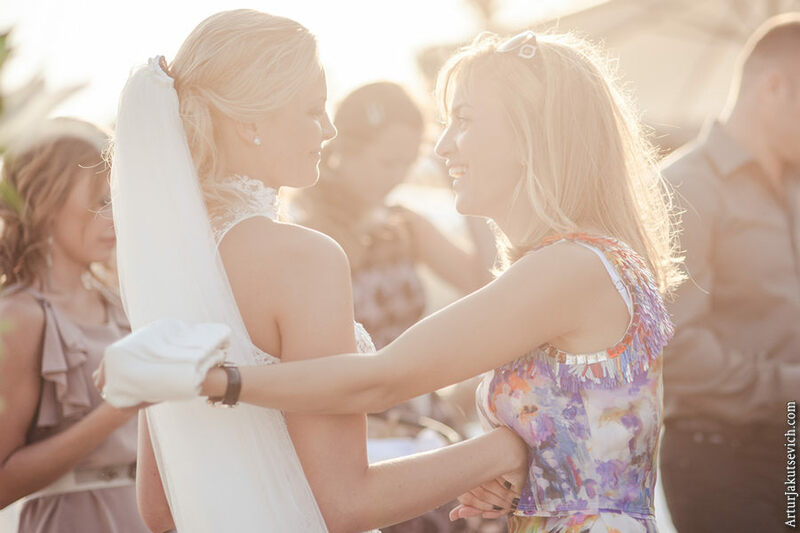 I’m sure to remember every single moment of this traditional, extreme and very bright wedding in Sitges, located near Barcelona, Spain. Thank you, friends, for the opportunity to share with you these amazing days! To find more details, please hit the contact for and fill it out with you requests and questions. Within 24 hours you will get our reply. I was supposed to write this review several months ago or even a year. Shame on me! Though, my words are know absolutely emotionless and I can give just a very objective feedback. I know you well and for me it was out of question that I choose you as a photographer for my destination wedding in Spain. Why? Because I do appreciate the methods of work, adore your talent and extremely love your company. 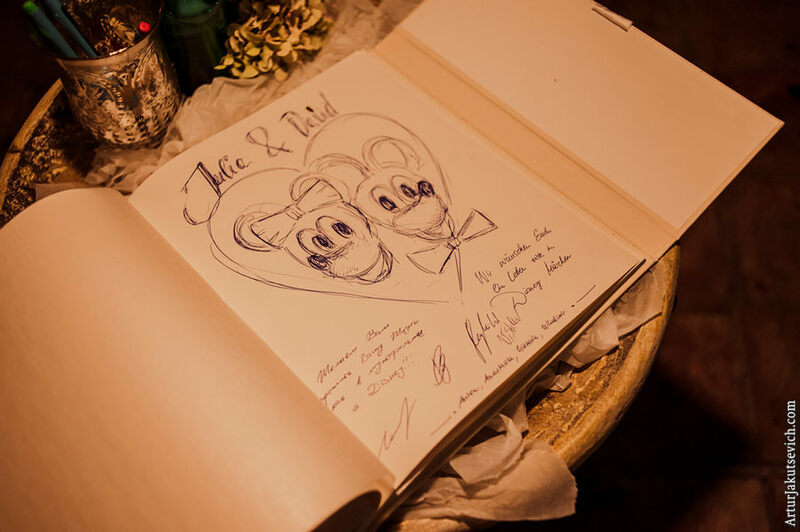 Since you big day was a bit special, you can see it in the pictures, I thought over all the details very thoroughly. And of course I wanted to have everything I together my with sweetheart had planned in wedding photos. Believe me or not, when I saw the pics for the first time I noticed so many things that I missed during that day. Artur and his colleagues made pictures from the roof, from the pool, from under water. Being a person whom they call a perfectionist, I’m pretty fussy about my appearance, look and so on. So one should be careful with picturing me. Thoguh there was only one photo I asked Artur to exclude — while getting ready he captured me a bit undressed =) Every other single picture is a masterpiece. Another important thing is that the wedding planner Clare, who did amazing job was fascinated with how great photographer and his team worked and the result they performed made her ask me to give her some pictures for advertisement. Would I ever recommend wedding and engagement photographer Artur Jakutevich to my friends? With no doubt! He is a professional photographer and a very easygoing and flexible person what is also extremely important. My husband David shares my opinion. Oh my God! You are beautiful!! !